This colorful story portrays some of the fun activities waiting for visitors at the U.S. national parks, monuments, lakeshores, etc. 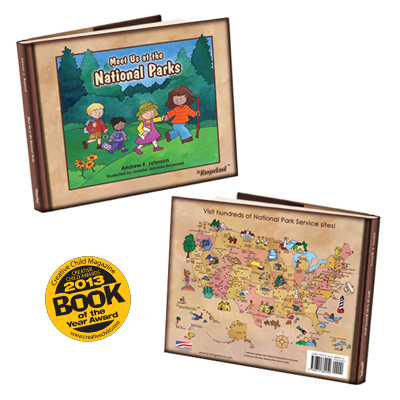 Kids can reference the back cover to see which park is nearest to them and map out their next national park adventure. Features over 120 sites! Creative Child Magazine 2012 Book of the Year Award recipient.